After winning the club’s first BC Junior A lacrosse title, Delta was eliminated at the national championship after three days of play. The Delta Islanders were beat by the Calgary Mountaineers 13-5 in the first game of 2016 Minto Cup on Aug. 20 at the Langley Events Centre. Delta was eliminated after the round robin portion of the tournament with a record of 1-3. After four days of action-packed lacrosse on the green carpet at the Langley Events Centre, the Minto Cup best-of-five final series is set to begin on Thursday, but it won’t include the Delta Islanders. 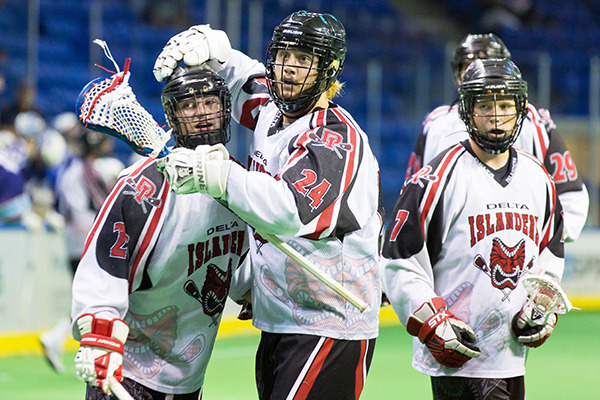 The Islanders were fresh off winning their first ever BC Junior A Lacrosse League (BCJALL) provincial title but struggled to find their form in the first two games of the national championship. They lost 13-5 to the Calgary Mountaineers on Aug. 20 and were barely edged out by Ontario’s Orangeville Northmen 10-9 on Aug. 21. A 7-4 win over the Coquitlam Adanacs on Monday night meant Delta finished the tournament tied with Orangeville for third place at 1-2, but lost the head-to-head tiebreaker. An Alberta team had never defeated a B.C. or Ontario team until Calgary surprised many by beating the BCJALL champions. The Islanders found themselves down 3-0 in the opening 12 minutes of the game and despite scoring three unanswered goals of their own, couldn’t stymie a strong Mountaineers attack over the final two periods. Delta looked to bounce back against the Northmen, who lost 8-7 to Coquitlam the previous night, setting up a loser goes home scenario. The Islanders were down four before coming back to take a 7-6 lead halfway through the game, but were outscored 3-2 in the third period, ultimately losing by just one goal. 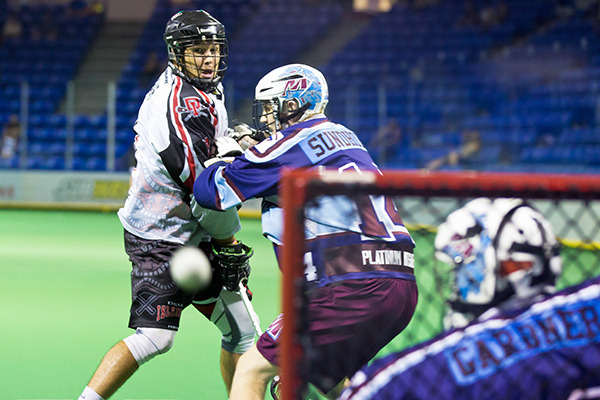 The Minto Cup has traditionally been a best-of-seven series between the B.C. and Ontario league champions, but reverted to a four-team round-robin format for this year’s tournament. “You have to learn to take advantage of every opportunity you get and we didn’t take advantage of the opportunity,” Rennie said. That doesn’t mean they didn’t leave their mark. Orangeville head coach DJ Clevely was impressed by the physicality of Delta’s defence, saying they don’t see that level of intensity as much in Ontario. With 16 players now graduating from Delta’s junior program, Rennie anticipates that there will be a rebuilding period but was still optimistic that the Minto Cup experience will pay dividends in the future. Rennie says he will be with the Islanders again next year, although he isn’t sure if he will be back on the bench in addition to his general manager duties. The Coquitlam Adanacs will take on the Orangeville Northmen in the final series as they hope to win their second Minto Cup championship and first since 2010. Scott Wortley, Coquitlam’s general manager, believes that as long as the Adanacs stick to the gameplan and play with composure, a Minto Cup is well within their sights. The Minto Cup continues at the Langley Events Centre until at least Aug. 27. Games four and five, if necessary, will be played Aug. 28 and 29, respectively.